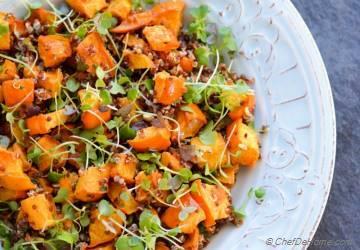 Sharing today, few of my favorite healthy quinoa salad recipes which are often on my weekday lunch menu. 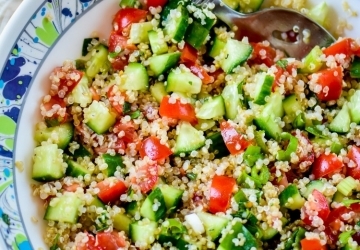 Oh, and almost all of these quinoa salads make a delicious summer-party-salads too! Just like you, I'm super busy on weekdays and often looking to pack something quick for lunch. 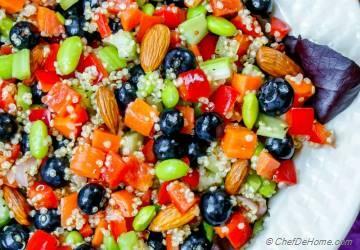 Plain leafy salads may fill you for few hours, but snack-cravings soon return and those undo the purpose of eating healthy. 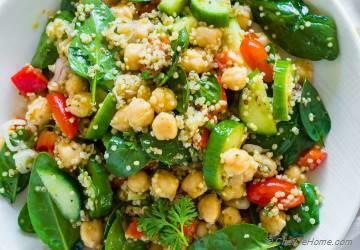 A filling salad with some lean protein, whole grains such quinoa are best to keep diet on track, yet look forward to a scrumptious lunch. 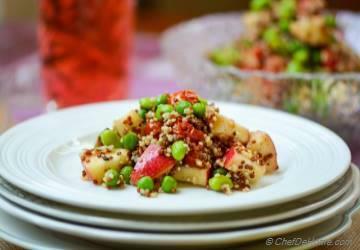 You will be surprised how quick it is to make a healthy quinoa salad for lunch (for me, even for dinner!) 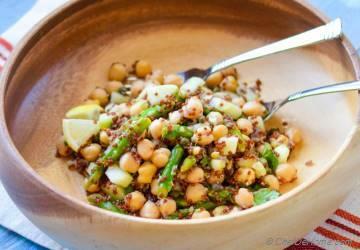 I plan my weekday menu over weekend and keep at-least 2-3 quinoa salads in menu. I pack dressing for all salads and refrigerate. 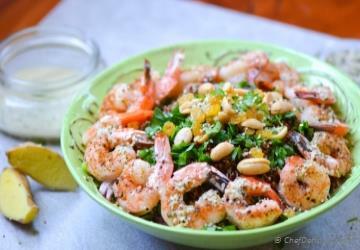 Most of them are used in salads.... leftovers make great marinades. 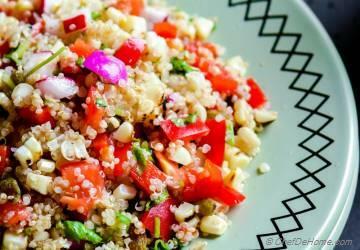 Quinoa can also be made ahead. 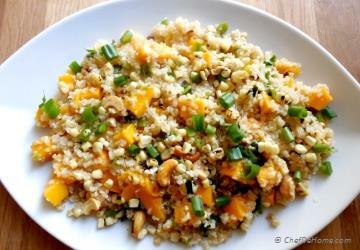 Cooked quinoa is just like cooked rice. It tastes great even when a day old. 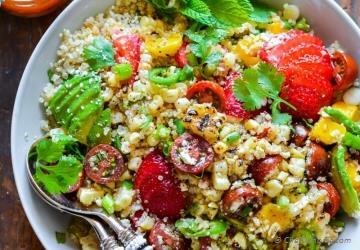 A batch of quinoa cooked on Sunday night is good to pack salad for Monday and even Tuesday.Just add fresh veggies/fruits per salad recipe, mix in portion of quinoa, add dressing and salad is ready! 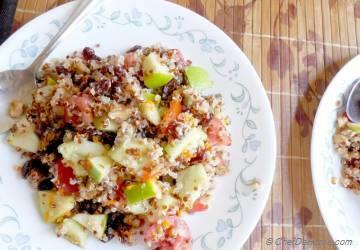 Healthy quinoa salad, without hurting calorie bank and no evening-snack-cravings. Enjoy weekend, and don't forget to make a delicious breakfast for your mom! (this is her day, make her feel even more special).